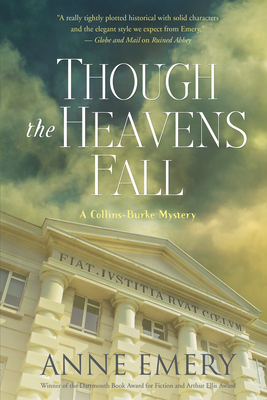 Named "one of Canada's finest novelists" (Ottawa Review of Books), Anne Emery is a lawyer and the author of the Collins-Burke mystery series. She has won an Arthur Ellis Award, an Independent Publisher Book Awards silver medal, and a Dartmouth Book Award. She lives in Halifax, Nova Scotia. Though the Heavens Fall is her tenth novel.